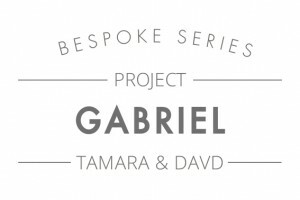 BRIEF CRITERIA: Tamara and David knew from the offset that they’d require the bespoke service to capture the true uniqueness of their wedding day fantasies. 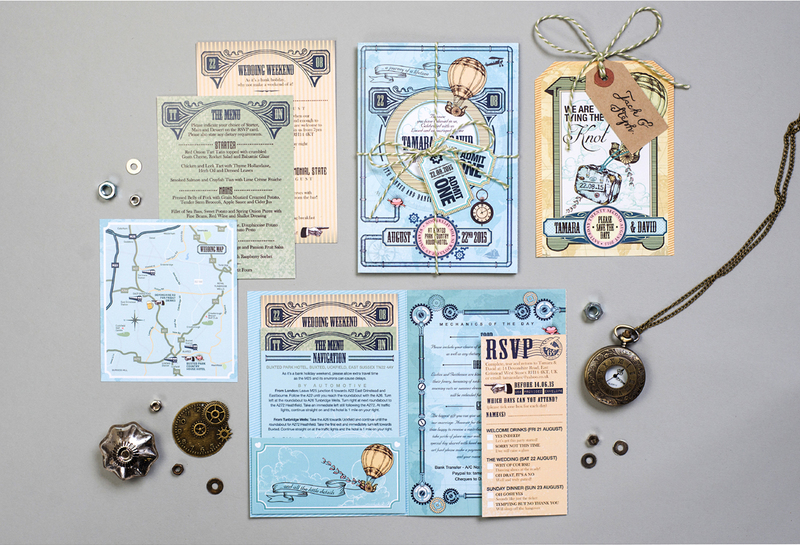 Their brief was for Paperknots to invent a romantic steampunk invitation that also captured their love of travel – Jules Verne fans eat your heart out! THE RESULT: Steampunk – you got it, romance – you got it, travel – you got it! 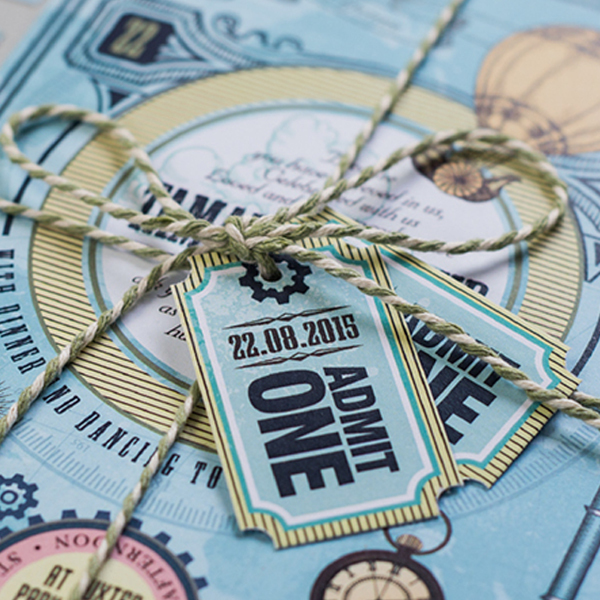 All in beautifully presented invitation which comes bound with bakers twine and ‘admission tickets’ that are almost too cute to unravel! 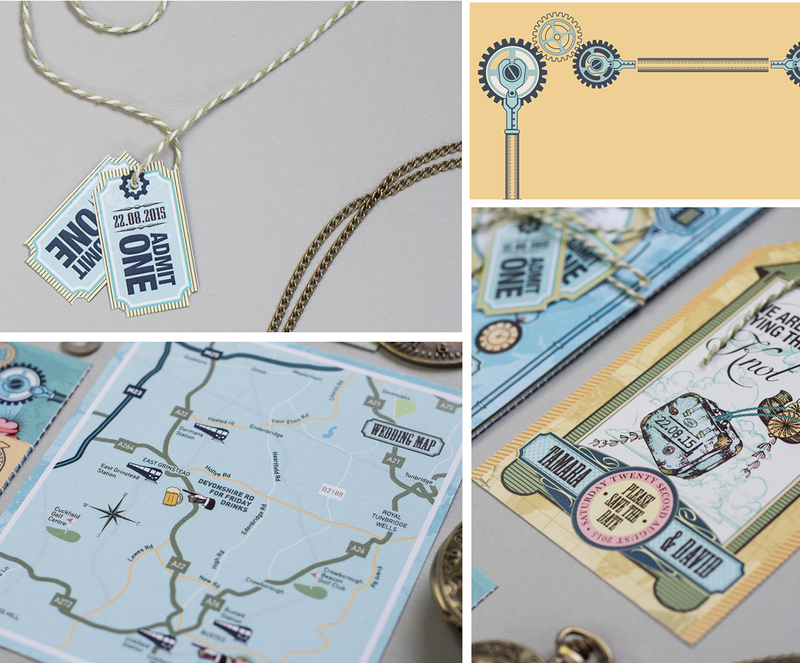 The essence of the steampunk theme is encapsulated with the use of vintage and industrial motifs, mechanical turning cogs and the vintage style blimp / hot air balloon to represent travel. 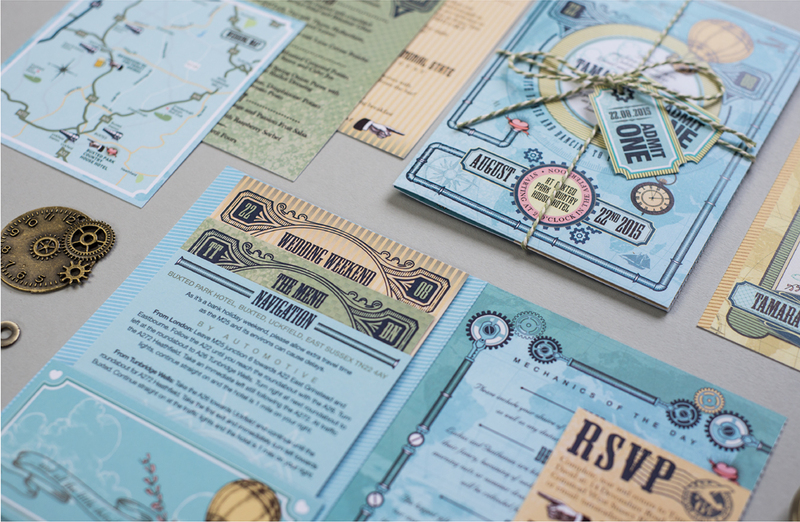 Once the invite has been opened, guests will find a pocket full of information cards with ornate engraved headers and graphics to suit the theme as well as a hand-drawn map, of course complete with the navigational details! 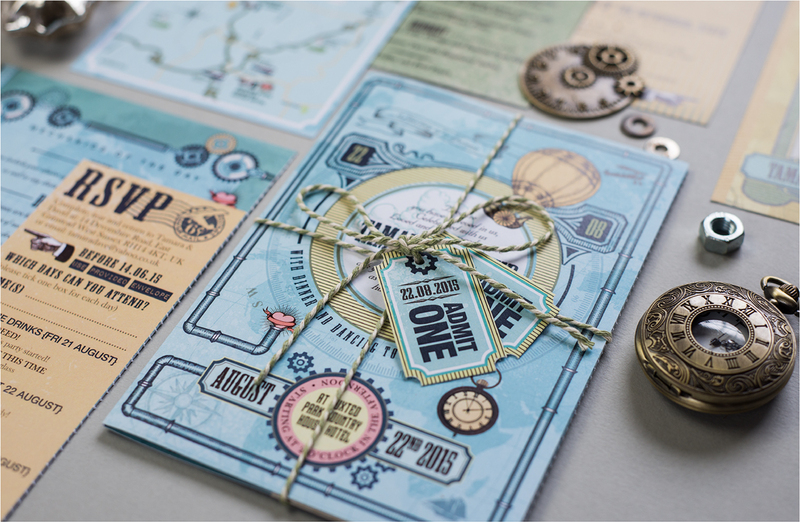 Framed with more industrial touches, whimsical charm and a vintage style world map, the wedding day details are found on the inside page which also comes with its own perforated RSVP. This aesthetically pleasing design is the perfect interpretation of the new “journey” of marriage!